Nicky and Sila Lee present the seven sessions which make up The Marriage Course. Their talks are interspersed with thoughts from couples who have been on the course, as well as street interviews from around the world. The DVD also contains the talk for the introductory session of the course 'The Marriage Course Party'. An optional session is also included on the DVD called 'Coping with Times of Separation', which, while designed for couples in the armed forces, is relevant for any couple who spends long periods apart. Filmed in 2009 (each talk is approx. 60 minutes). The Marriage Course was developed by Nicky and Sila Lee and is held over eight sessions. It offers a married couple the tools to build a strong and healthy relationship that lasts a lifetime. During each evening, couples talk about important issues that can get swept under the carpet in the rush of daily life. While the course is based on Christian principles, it is designed for couples with or without a church background. The new style DVD does not work in conjunction with the old style Guest Manuals. If you are using this DVD you will need to use the new style Guest Manuals which are available to purchase via this website. The Marriage Course DVD by Nicky Lee, Sila Lee is published by Alpha and is our 1162nd best seller. The ISBN for The Marriage Course DVD is 5060059401475. Be the first to review The Marriage Course DVD! Got a question? No problem! Just click here to ask us about The Marriage Course DVD. 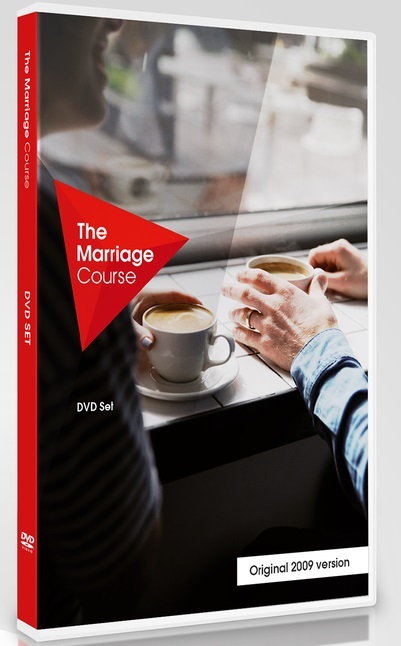 Does the alpha marriage course DVD have english subtitles for the entirety of the DVD. as im wondering if it is suitable for the deaf.